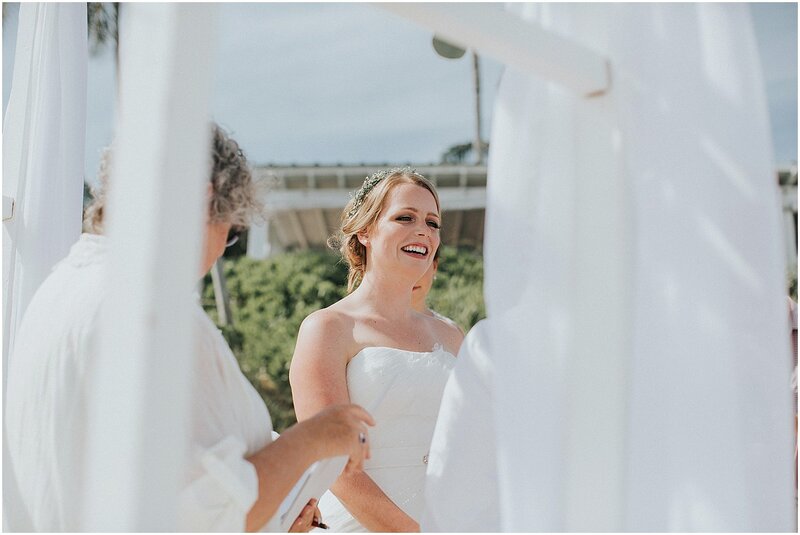 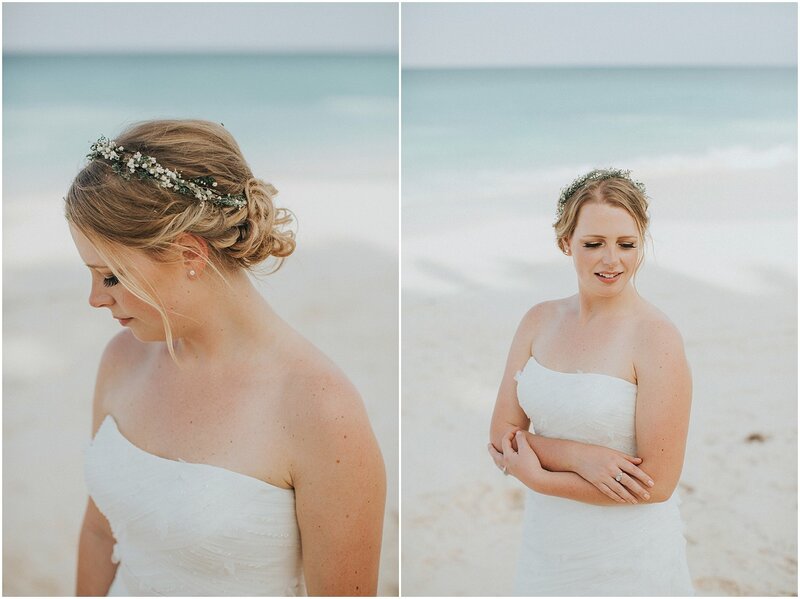 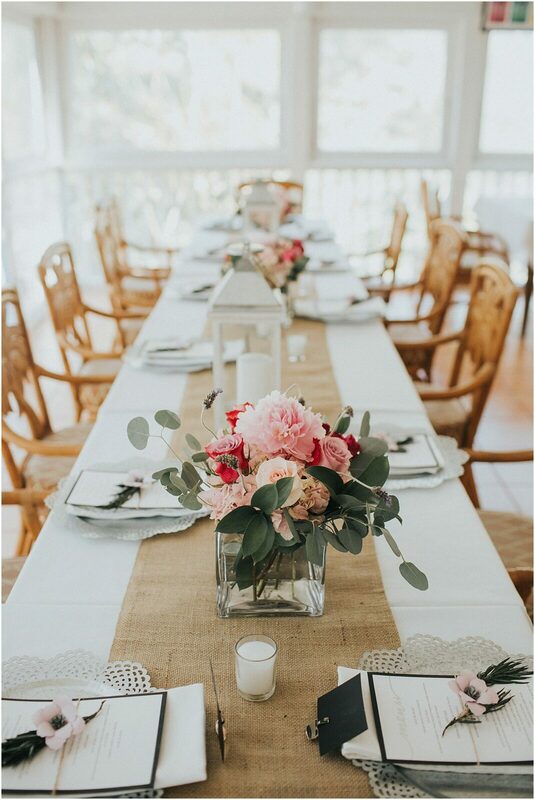 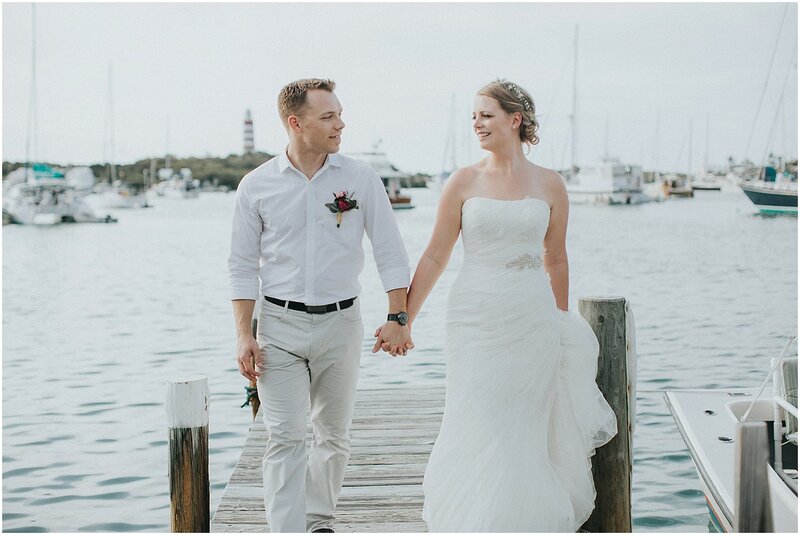 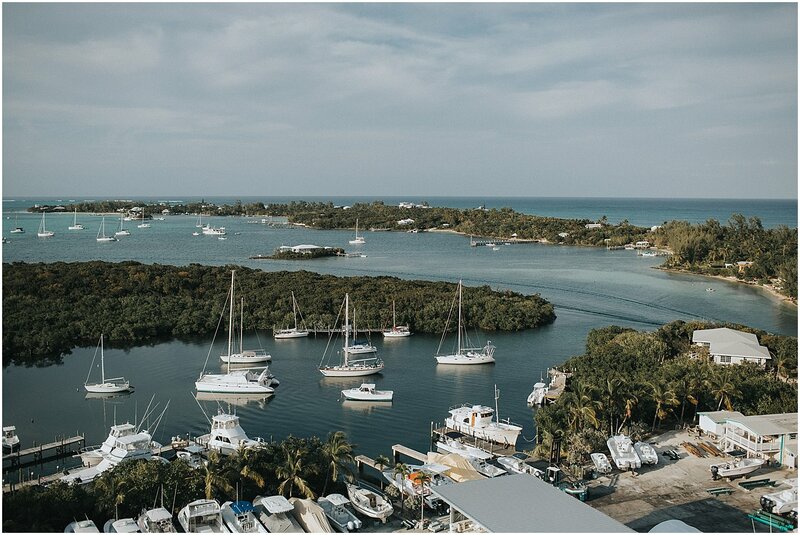 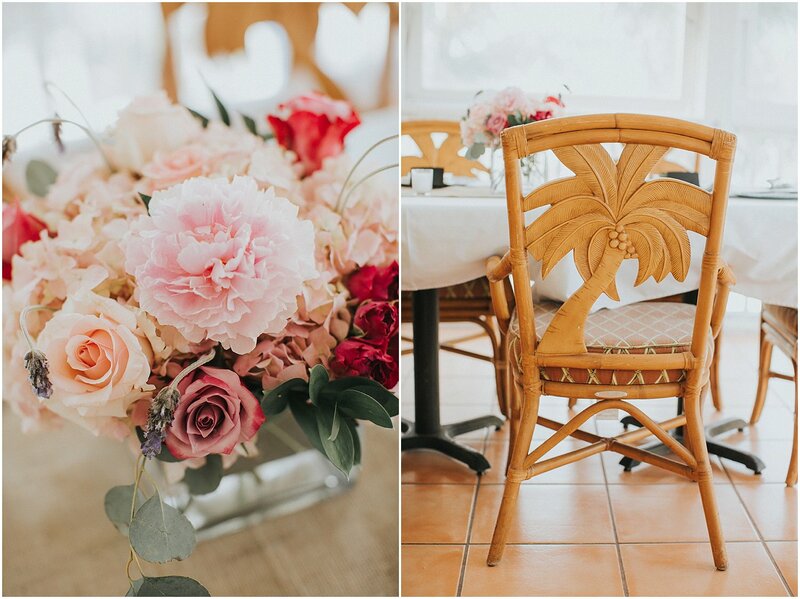 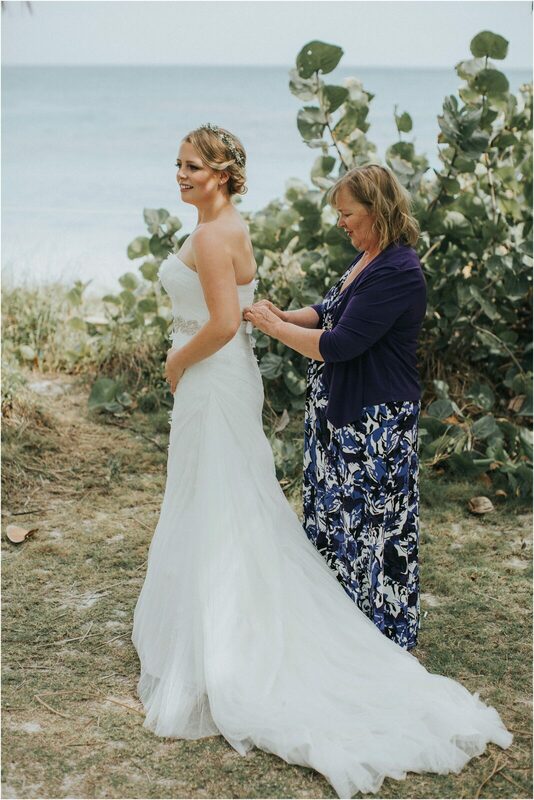 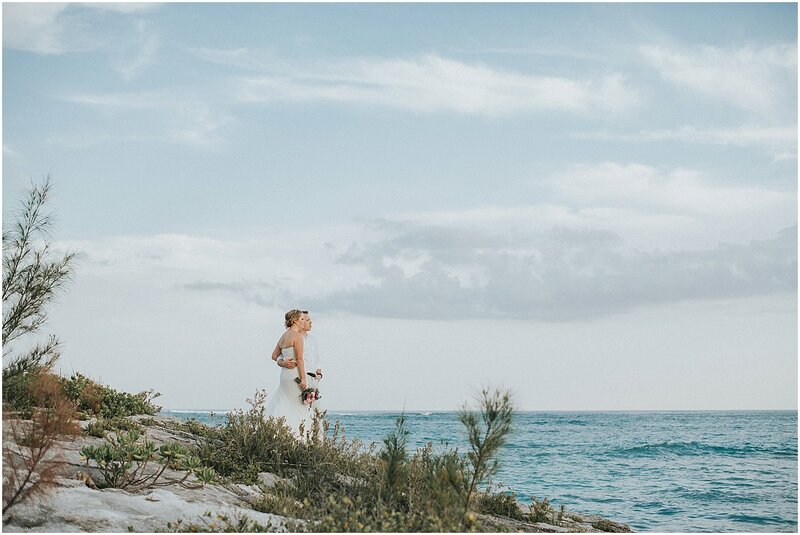 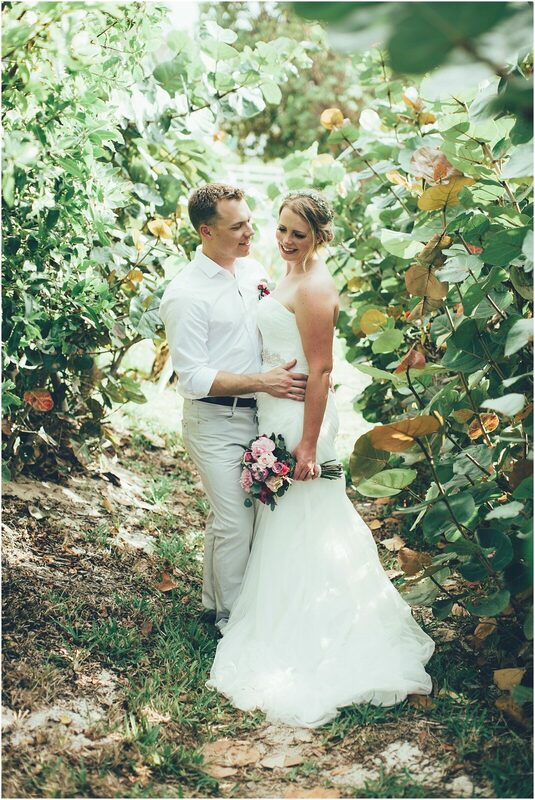 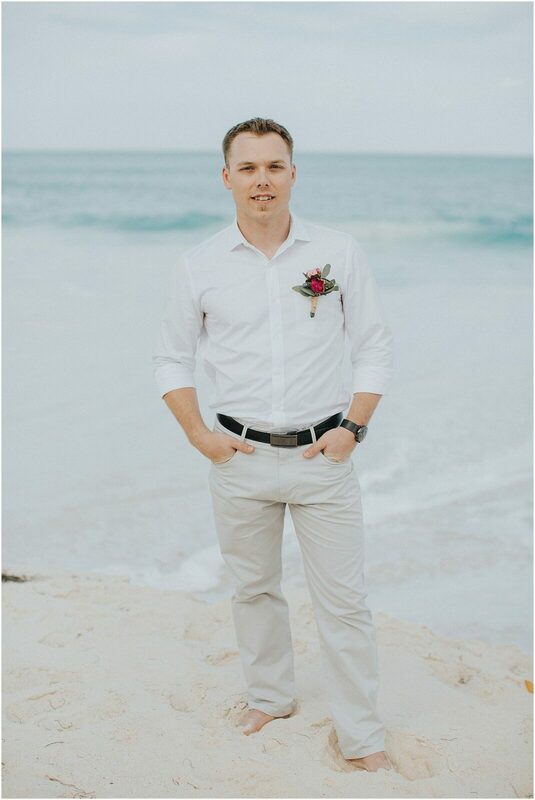 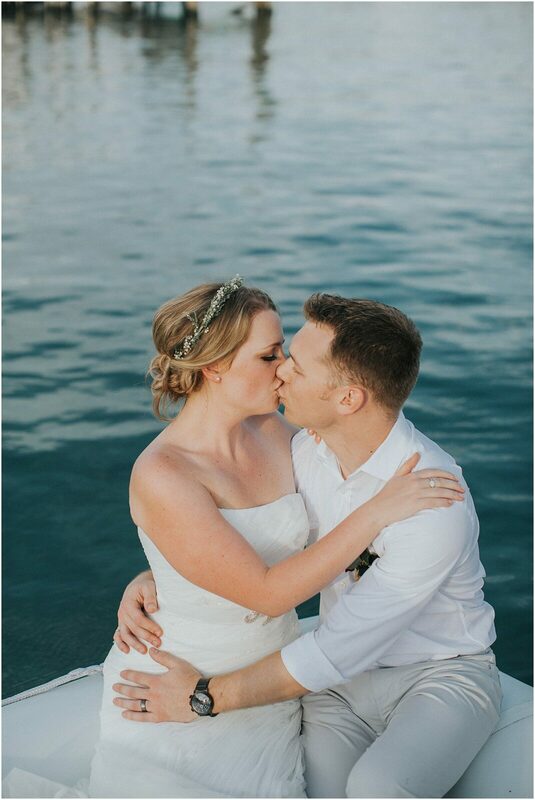 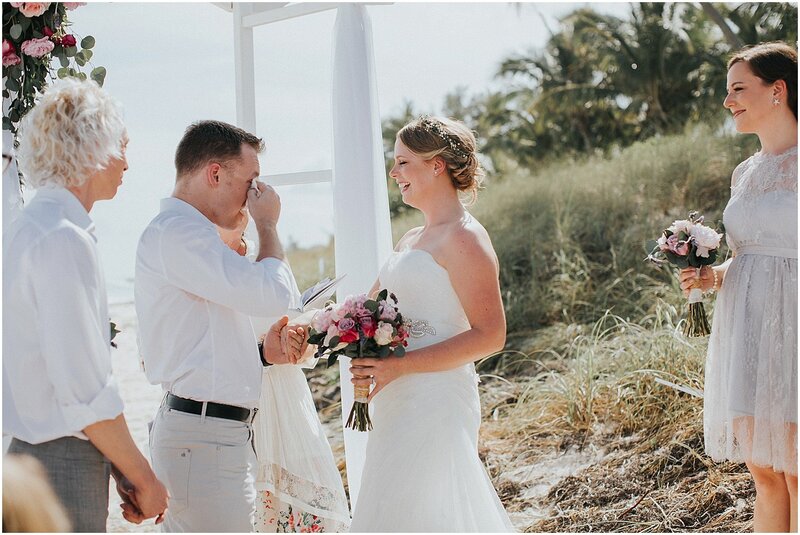 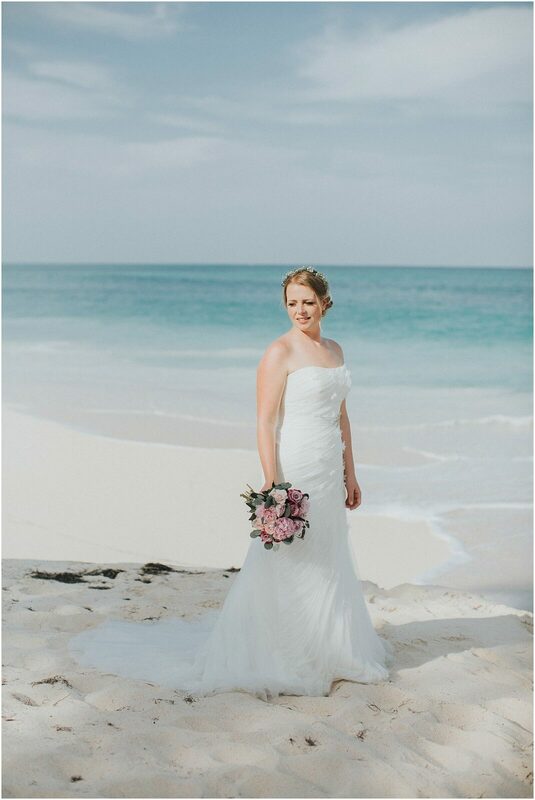 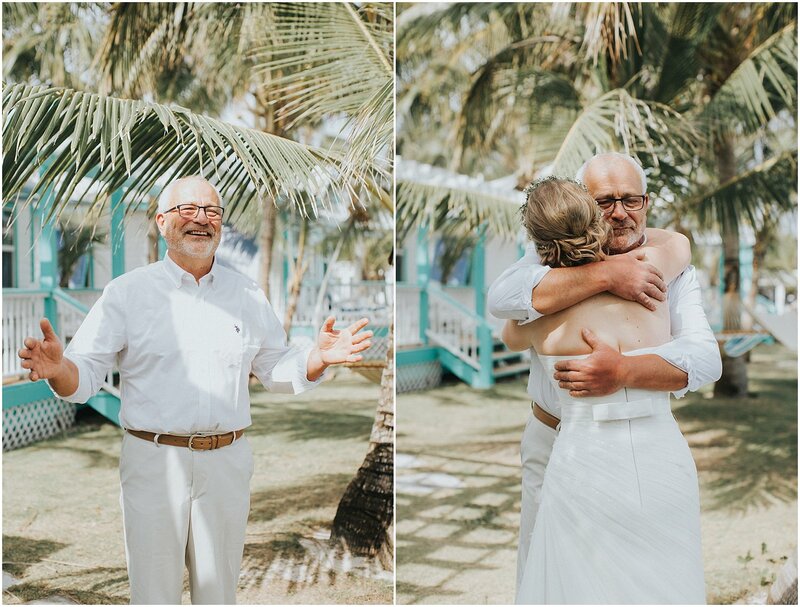 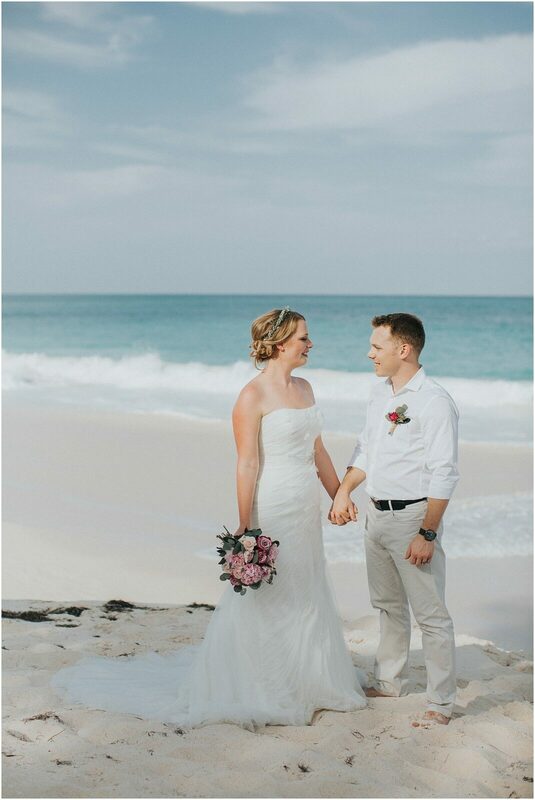 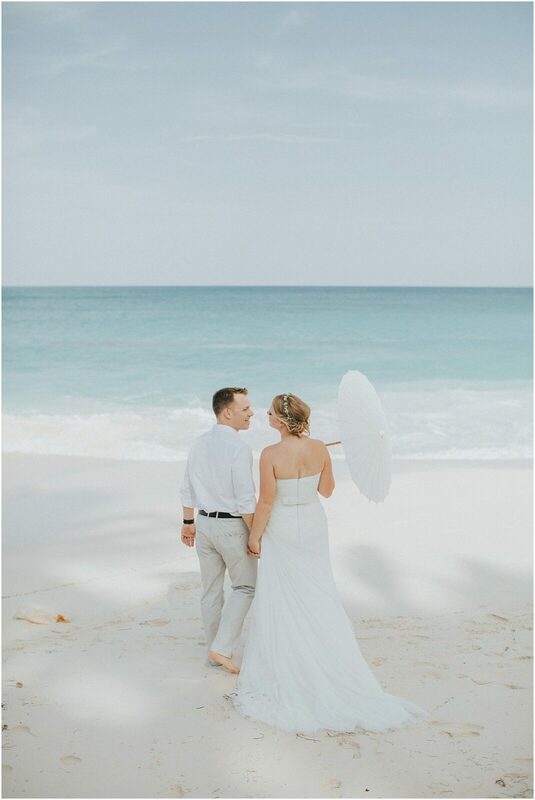 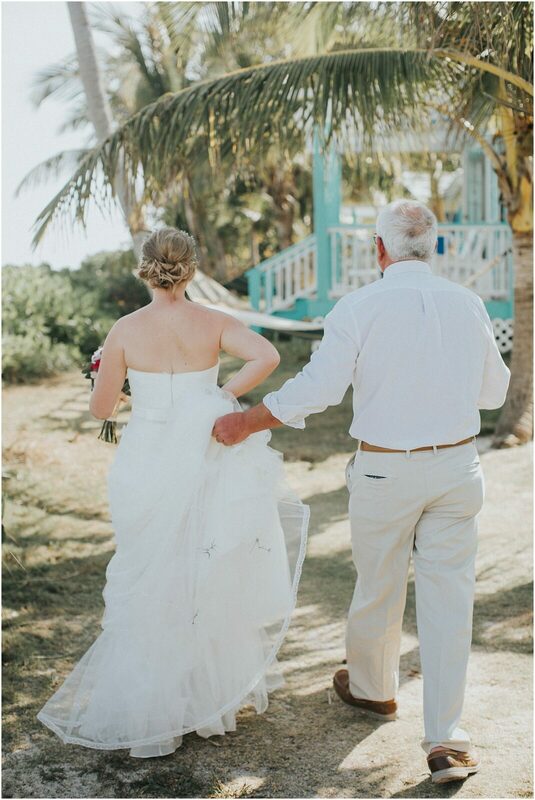 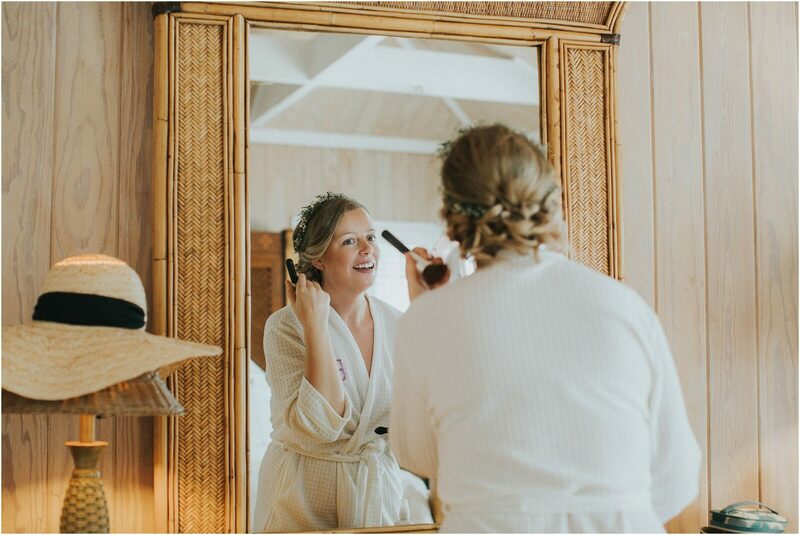 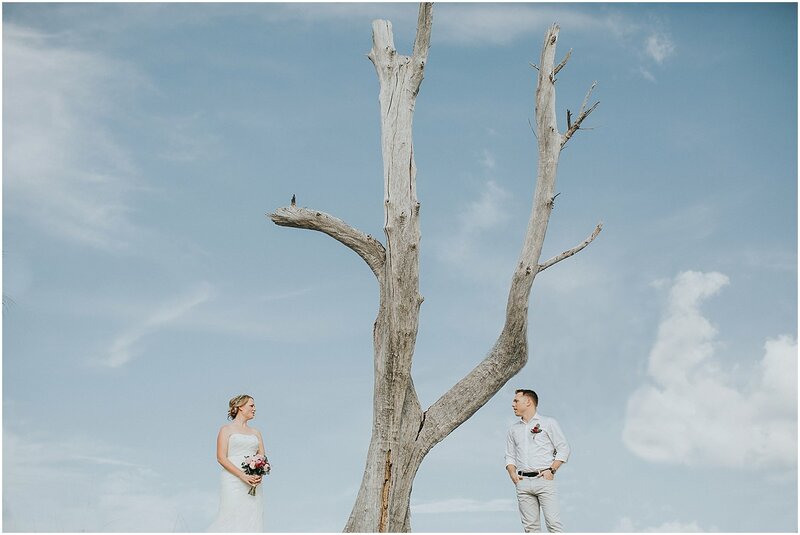 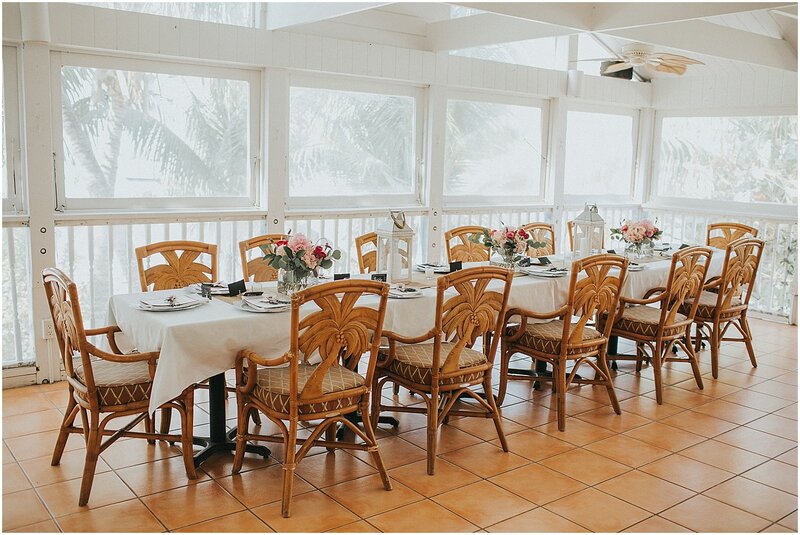 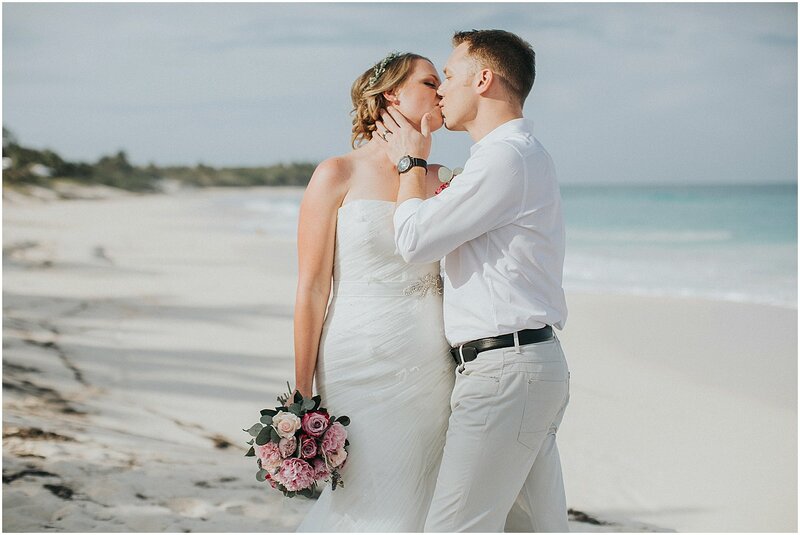 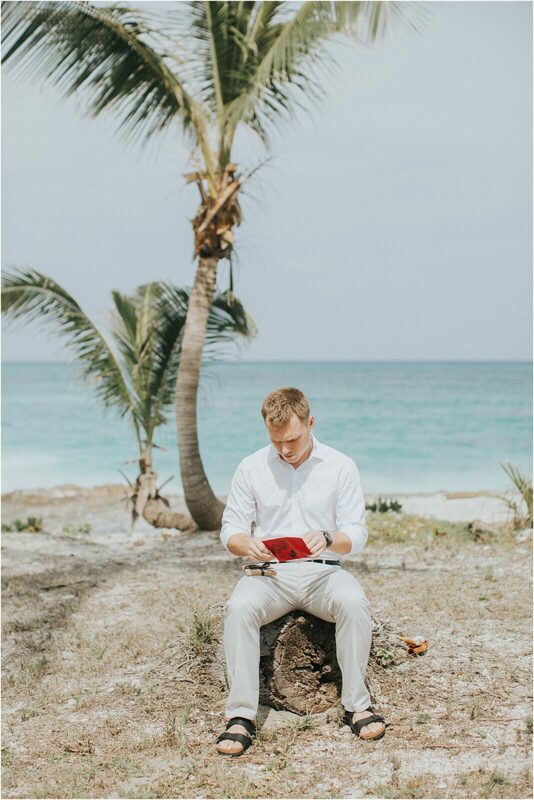 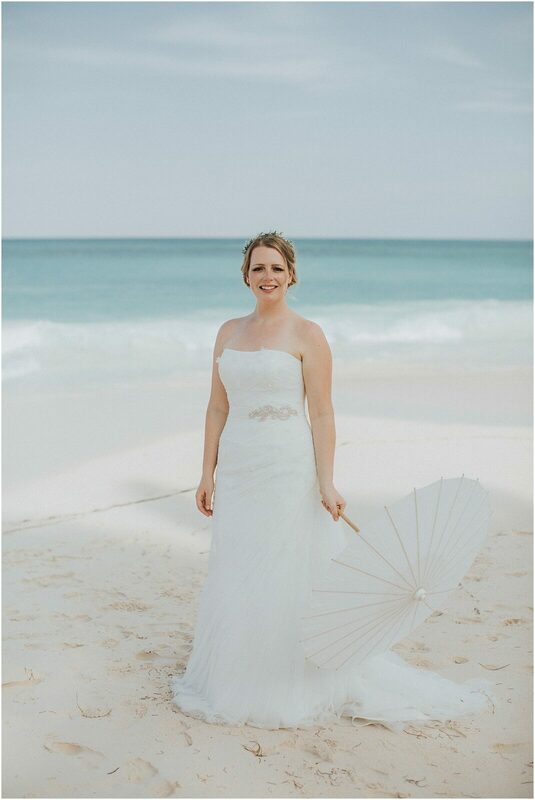 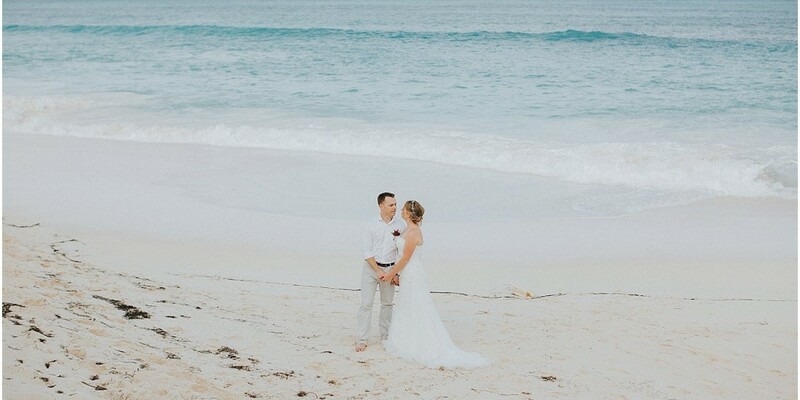 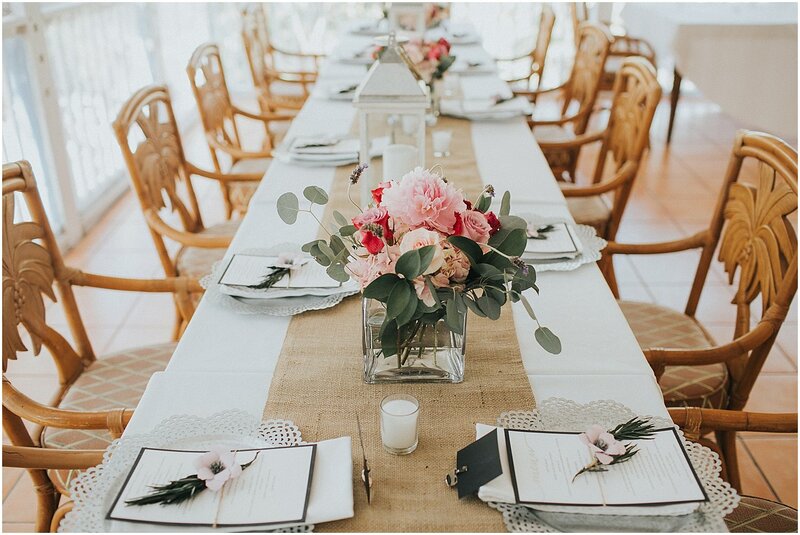 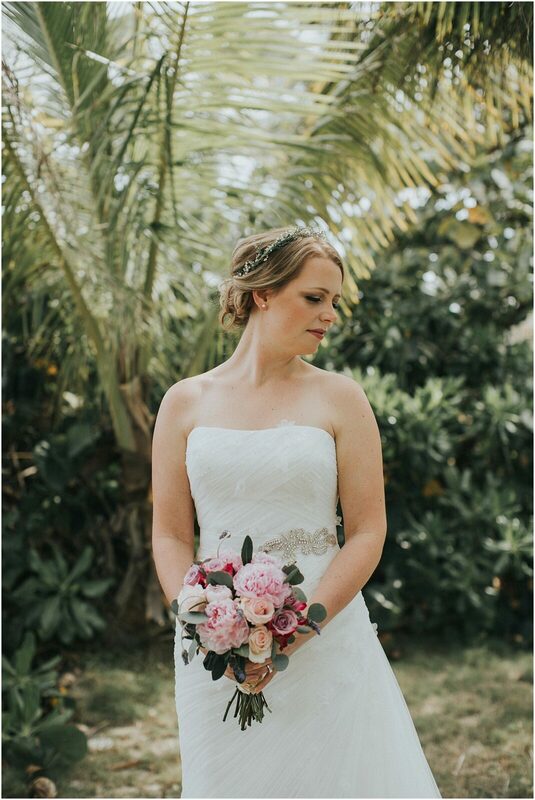 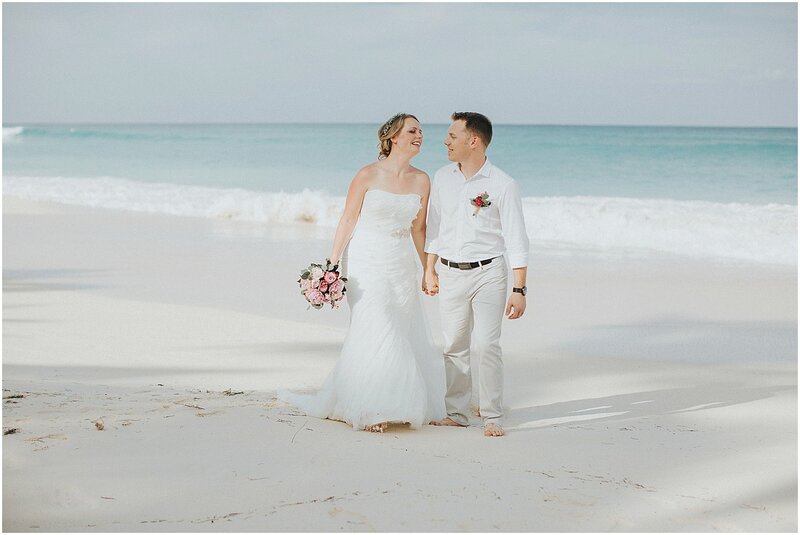 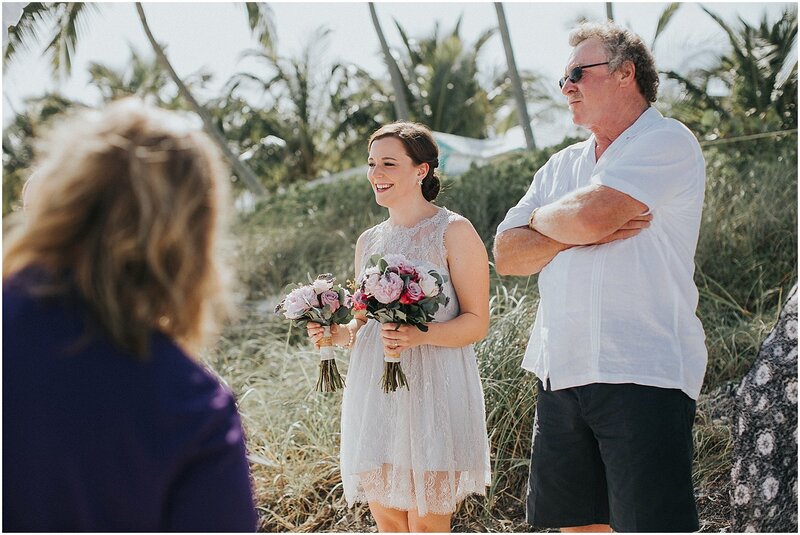 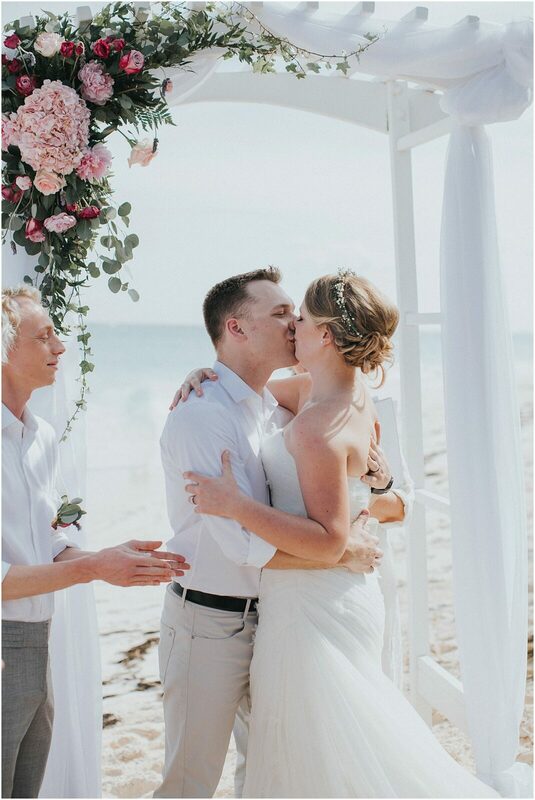 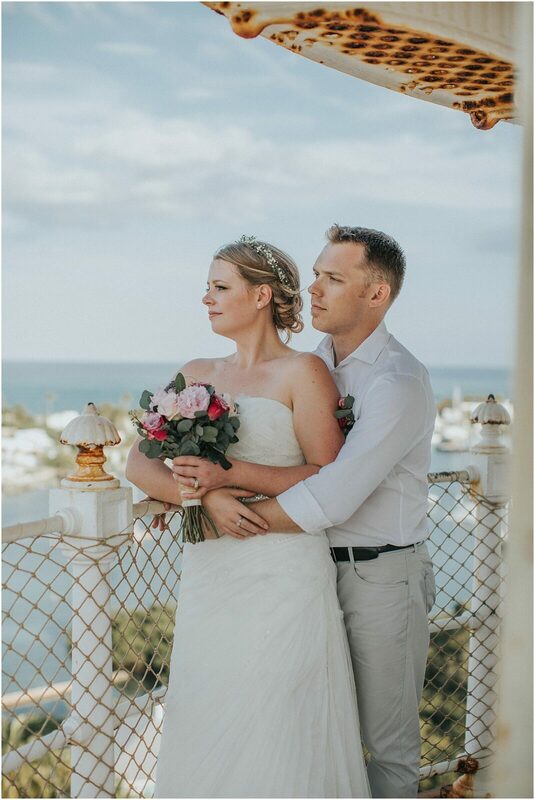 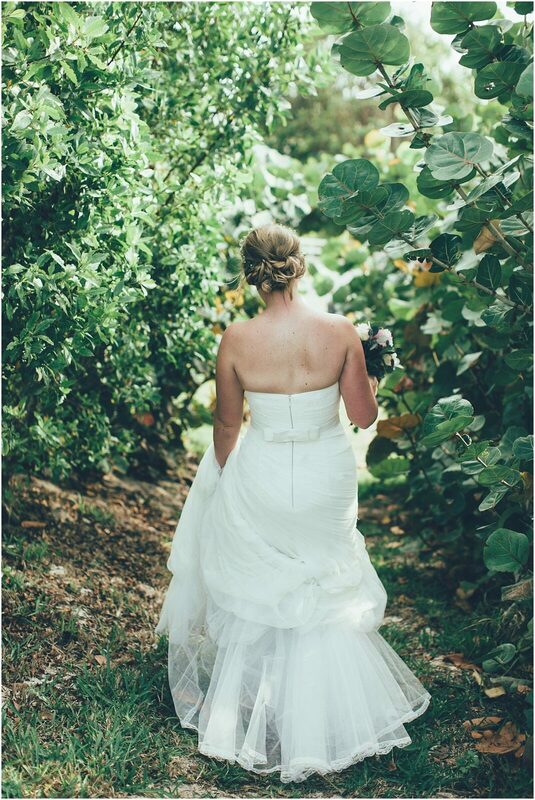 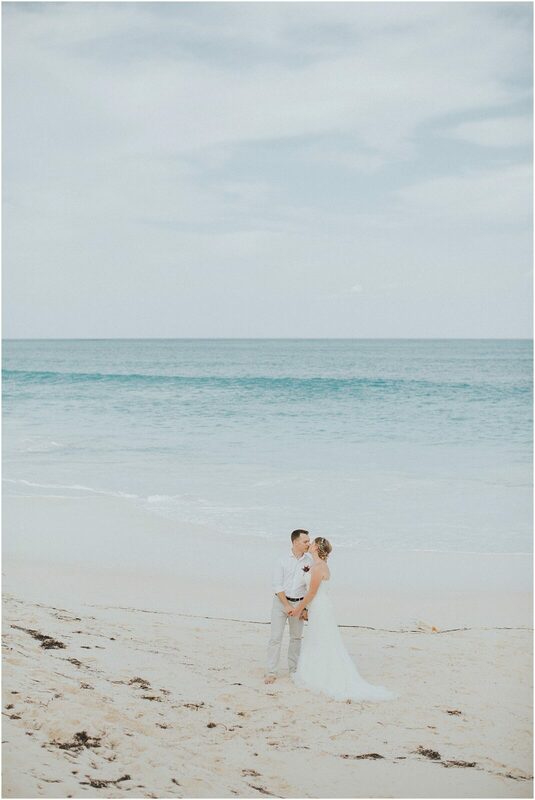 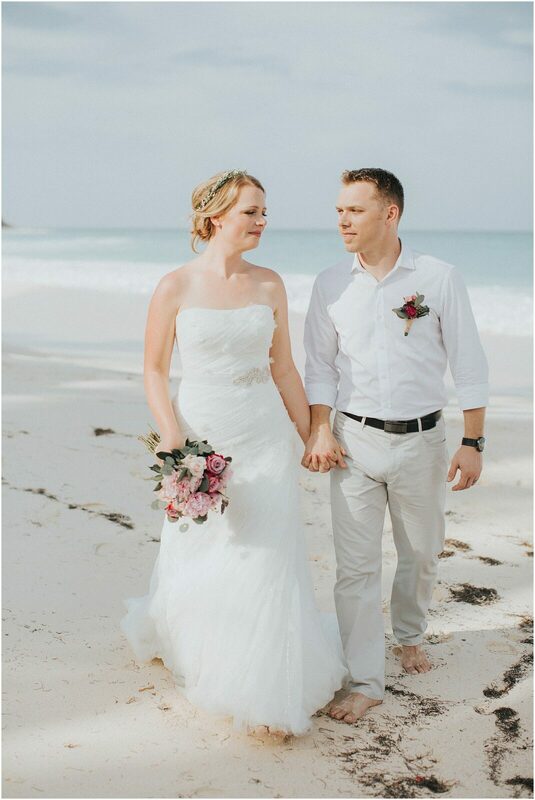 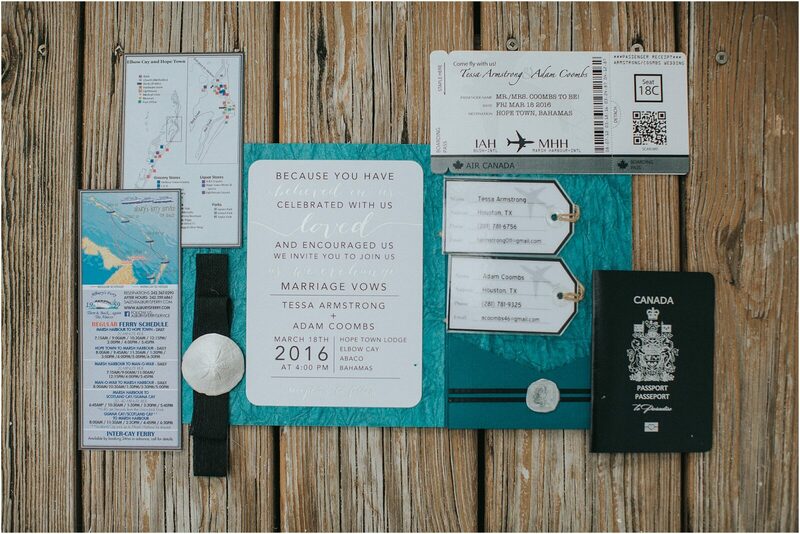 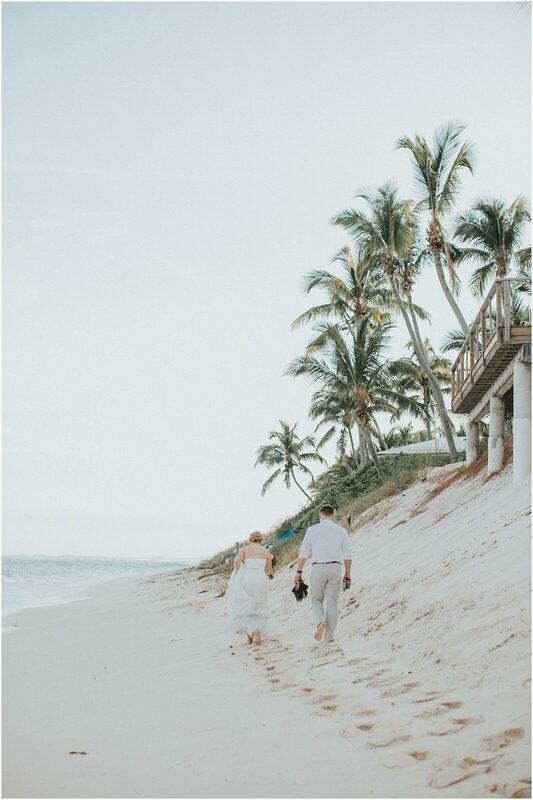 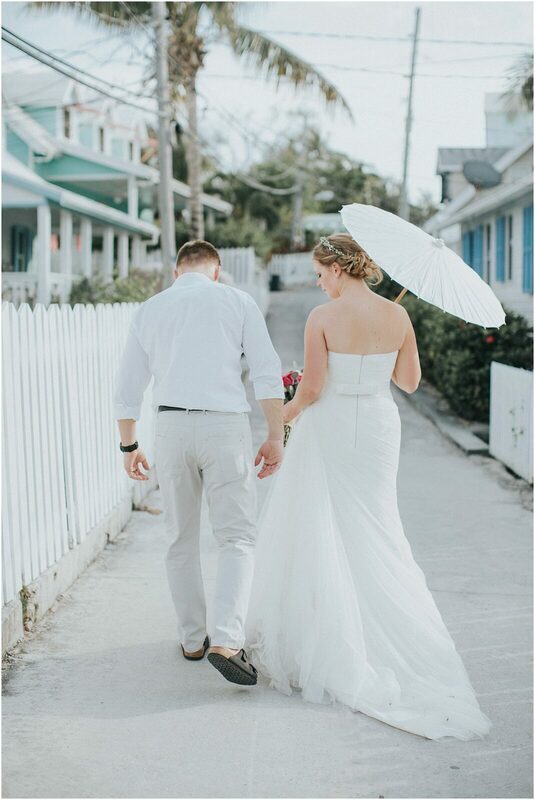 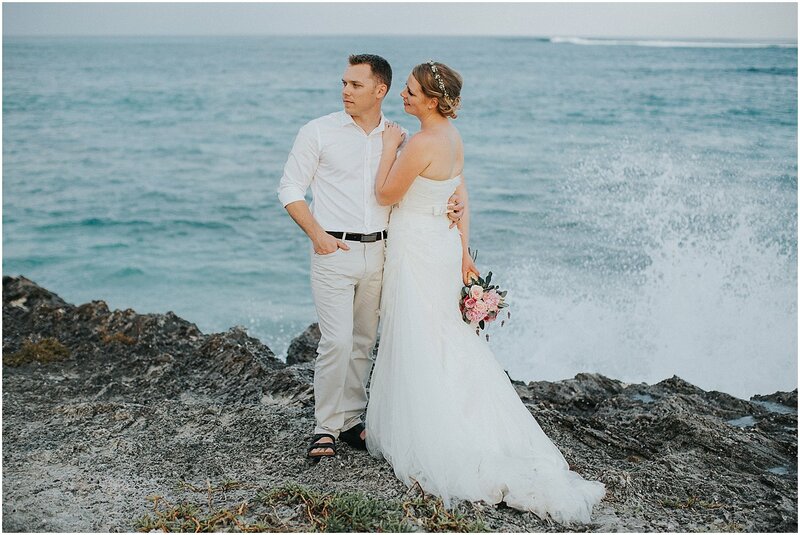 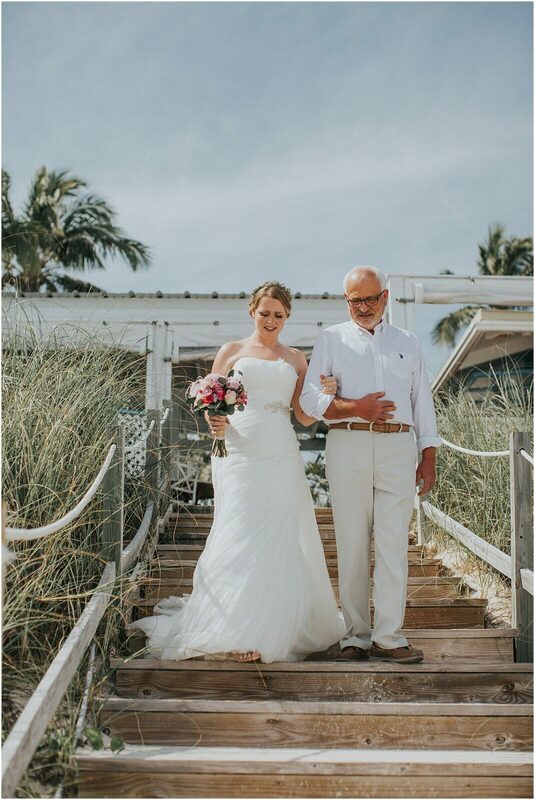 Tessa and Adam’s Abaco Bahamas wedding at the Hope Town Harbour Lodge was beautiful and intimate. 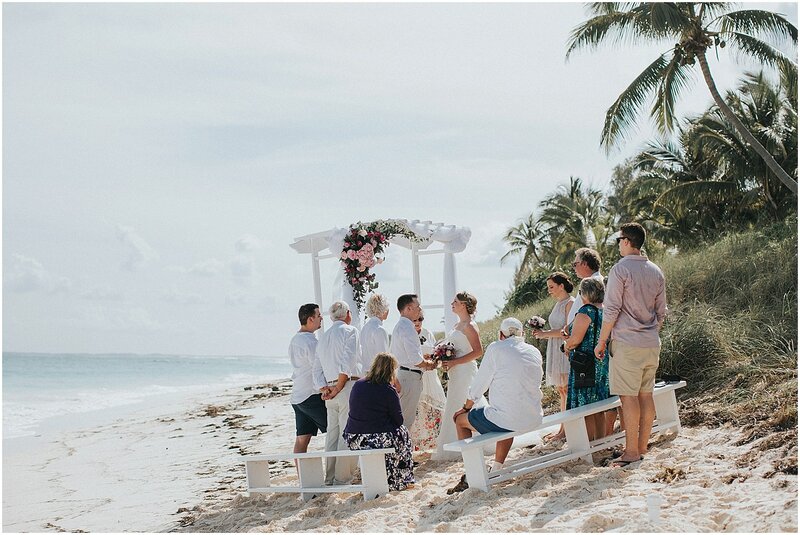 They had 10 of their closest family and friends come along with them to enjoy some sun and relaxation. 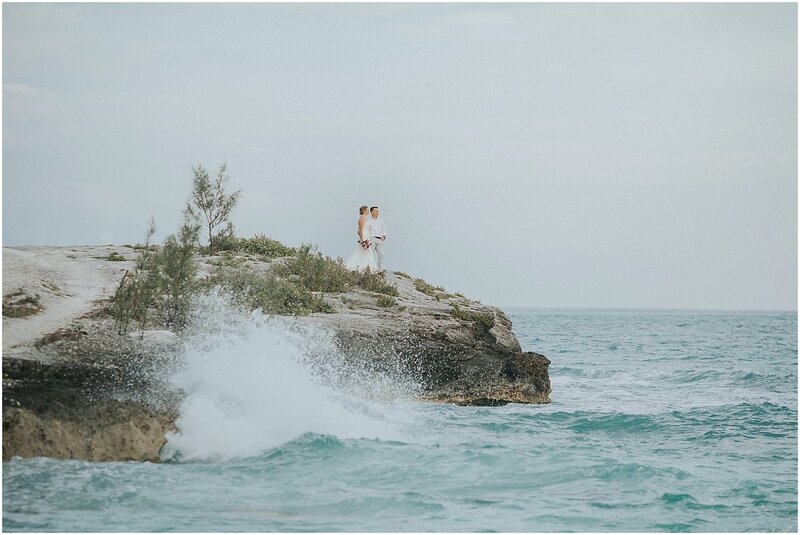 Everyone traveled all the way from Canada to see these two tie the knot. 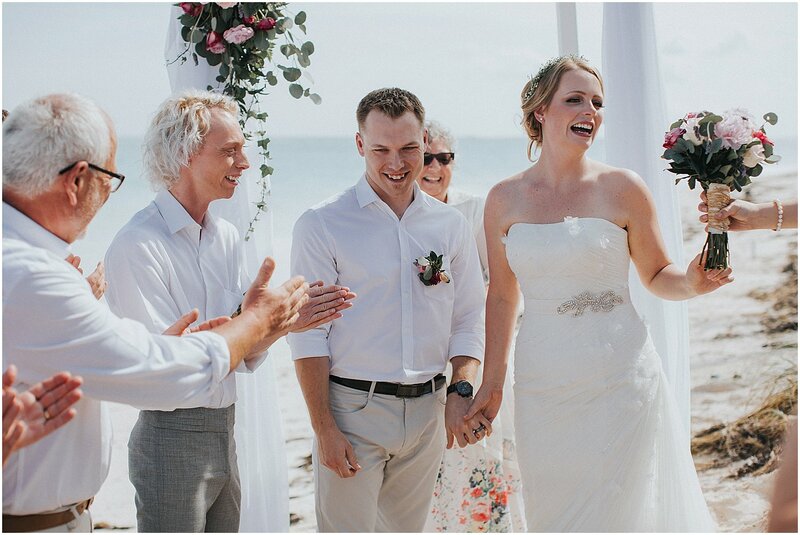 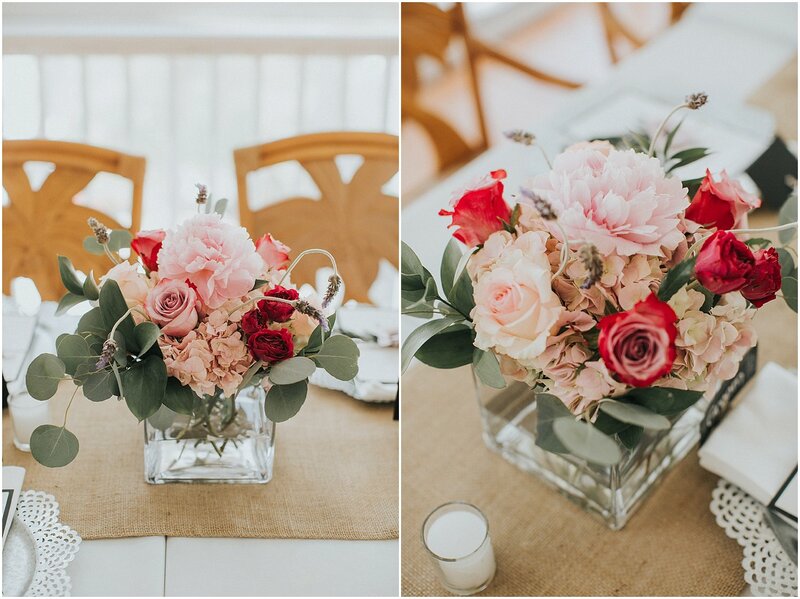 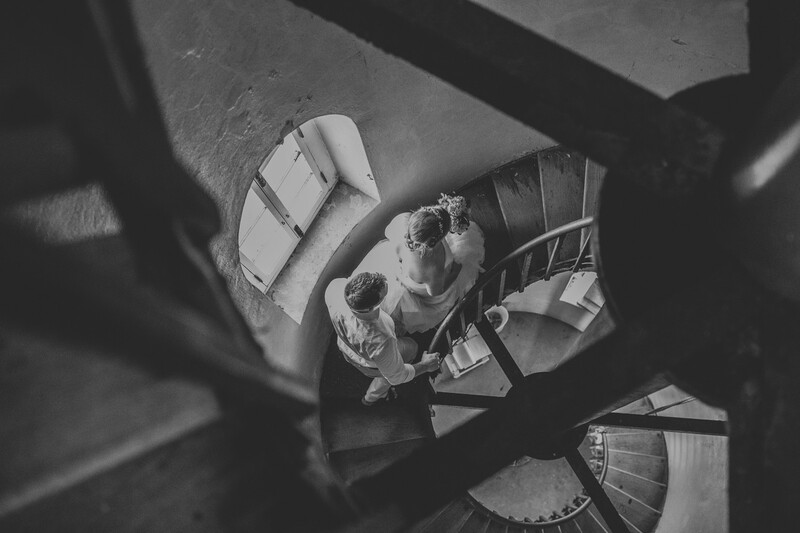 When I was contacted by Tessa and Adam I knew their wedding was going to be special. 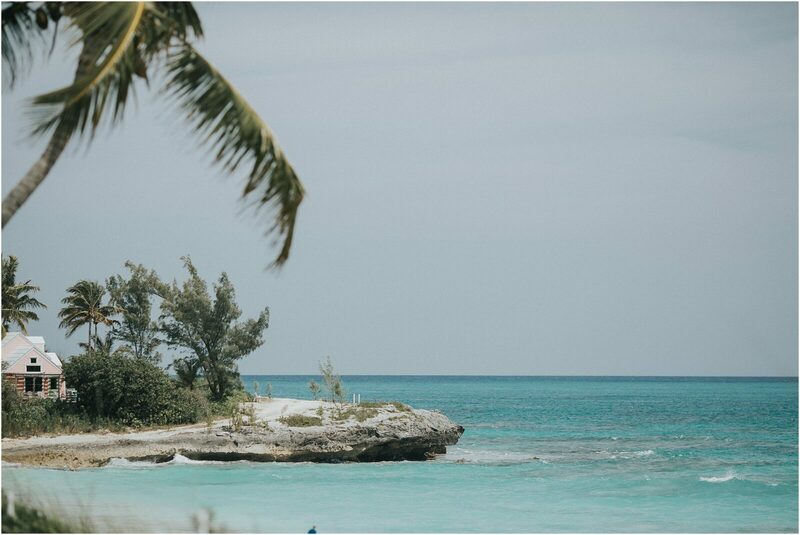 They were all about the day being relaxed and not making plans. 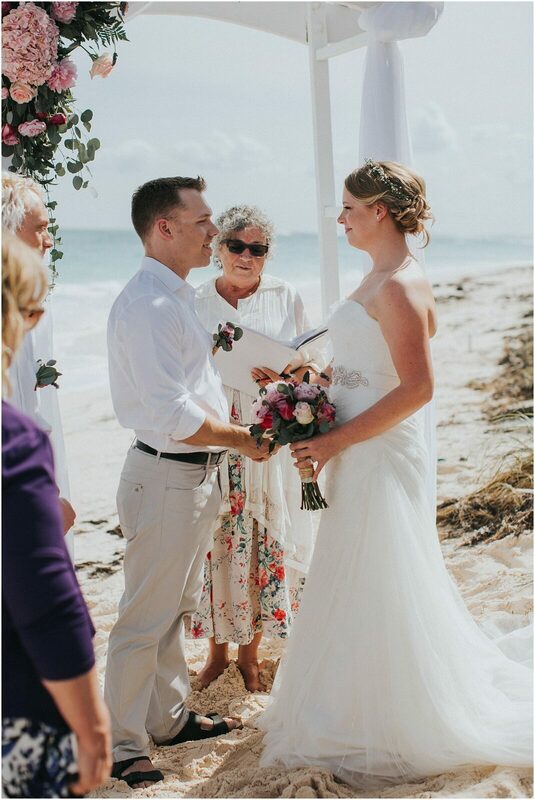 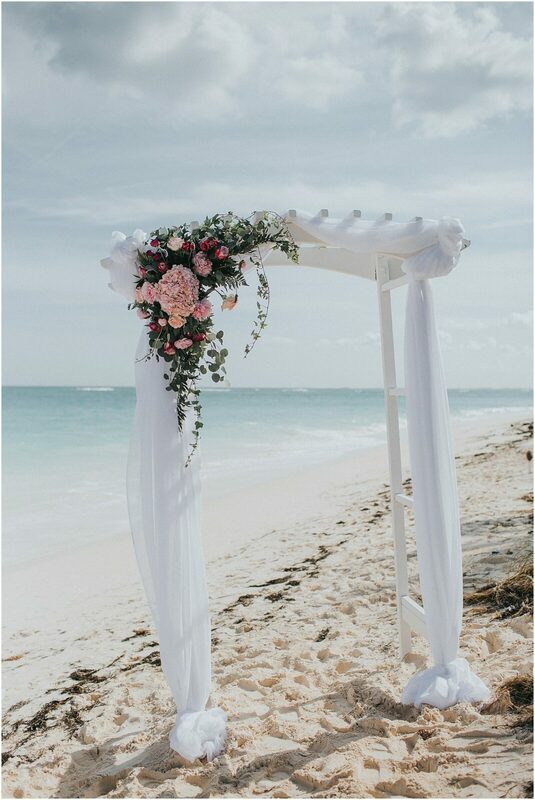 The ceremony was held on the beach behind the lodge. 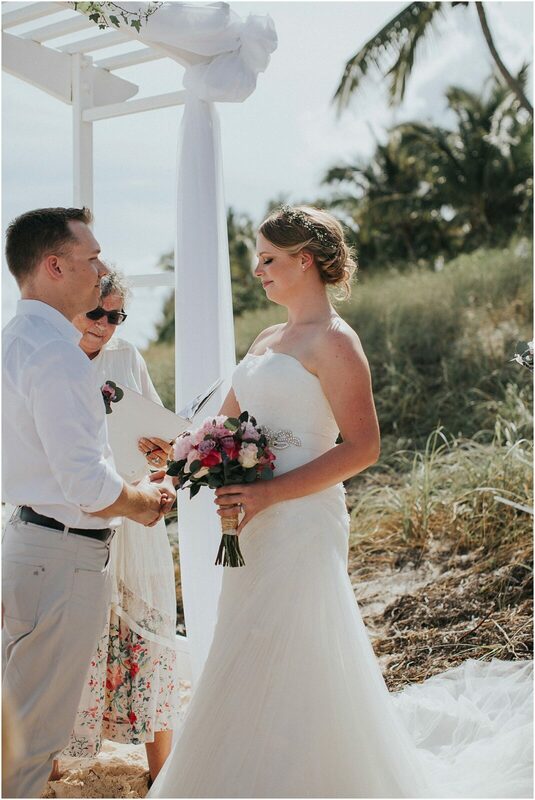 The tide was really high so they had to set up the ceremony site practically in the dunes. 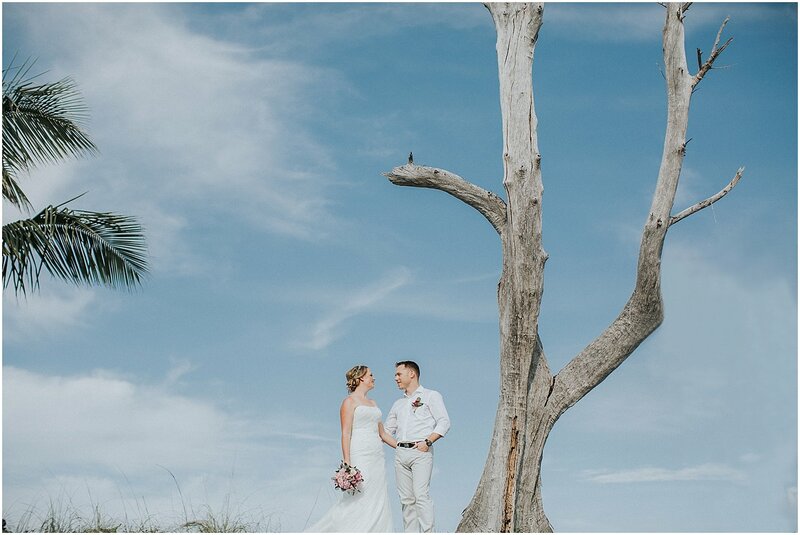 But, it couldn’t have been a more beautiful day with blue skies and the sun shining brightly. 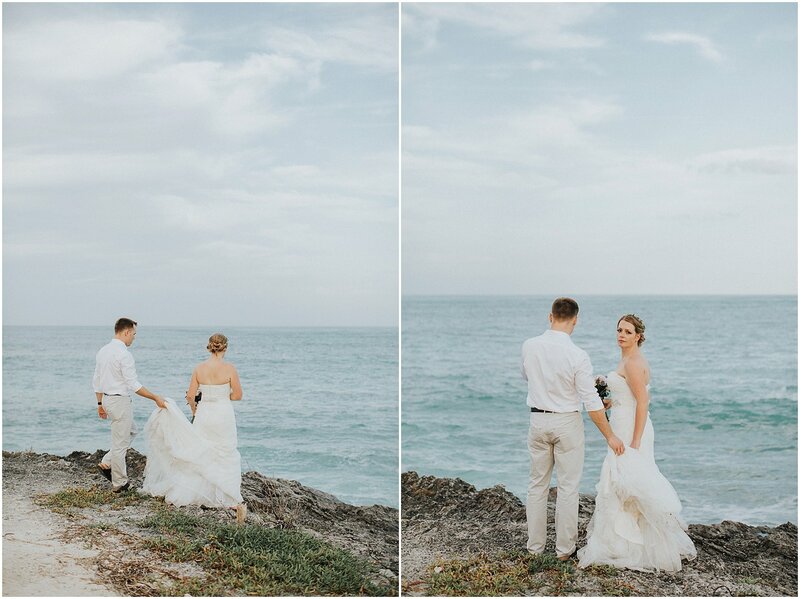 It’s not every day you get to have the wedding couple all to yourself for unlimited hours! 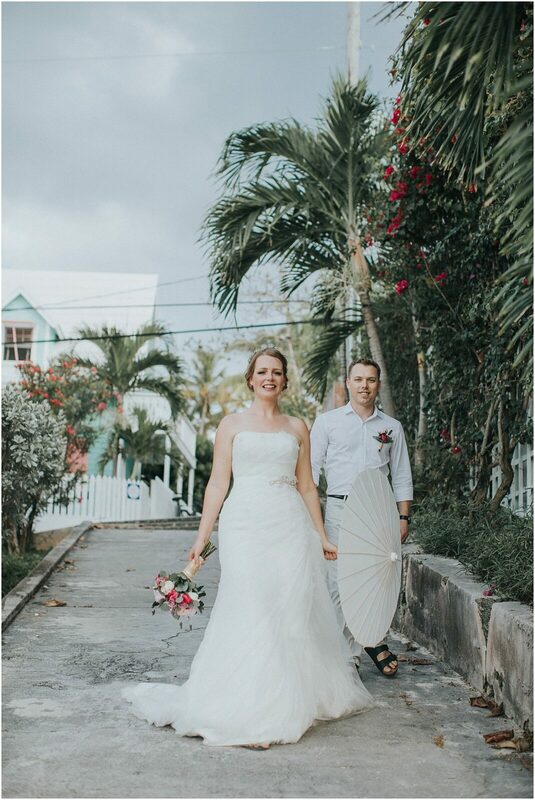 Tess and Adam gave me creative freedom to explore the island with them. 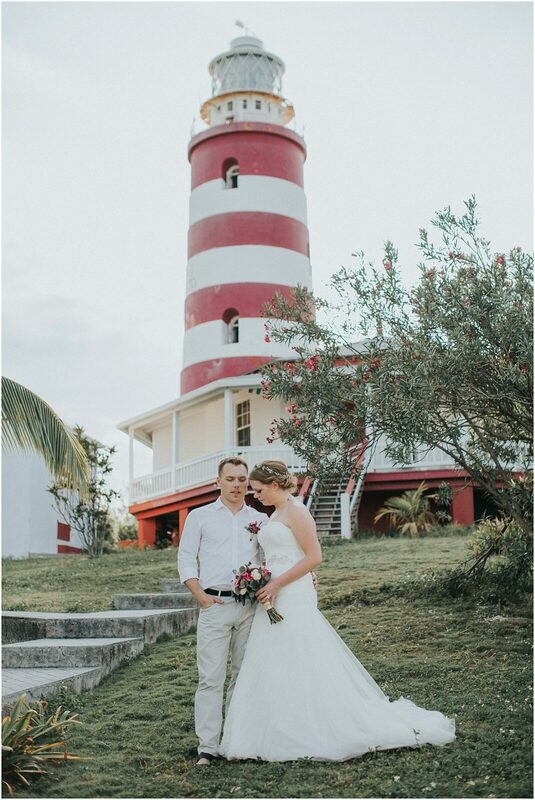 We explored the streets of Hope Town and even climbed the lighthouse. 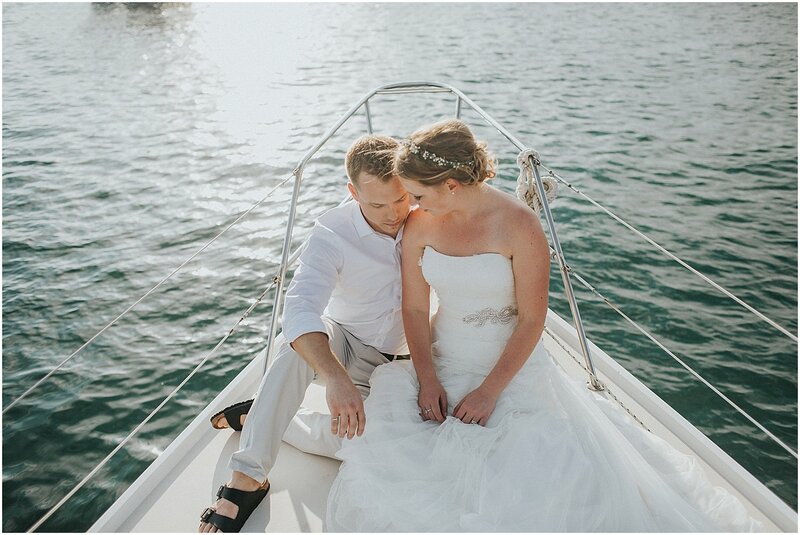 Tessa’s dad drove us around in his zodiac and let us take a few pictures on his sailboat. 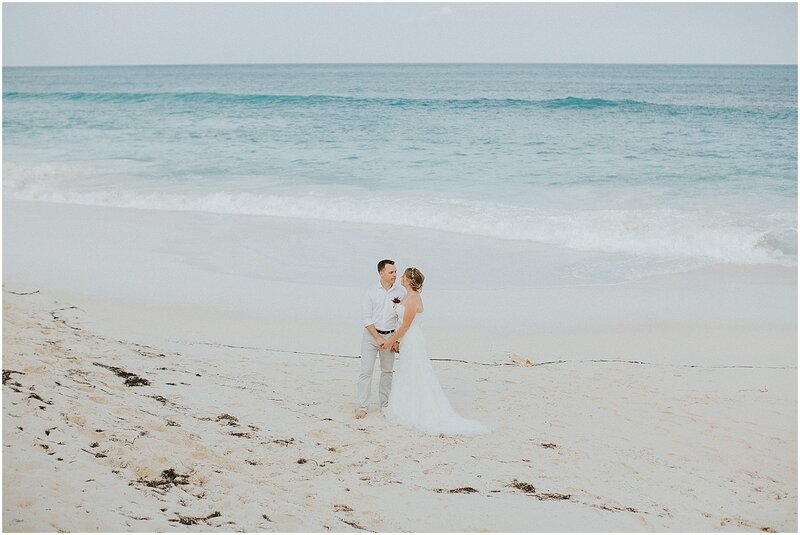 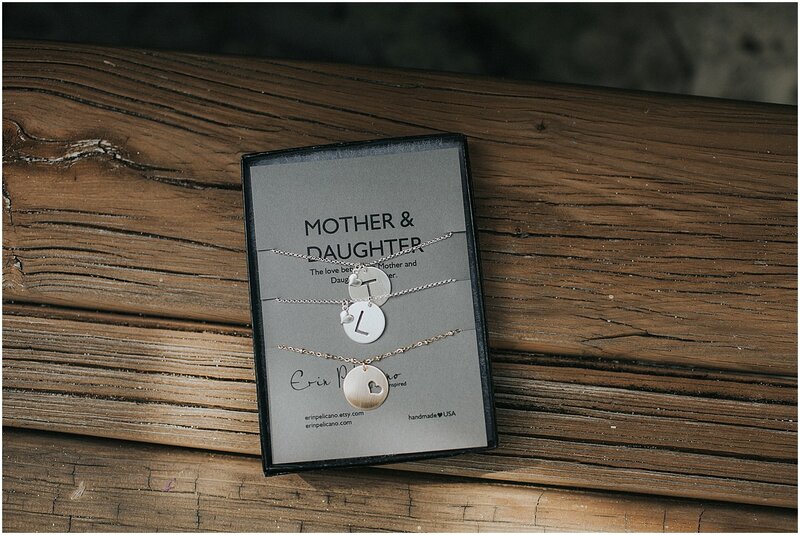 I was so honored to be a part of such an intimate day and to be able to hang out with such a sweet couple. 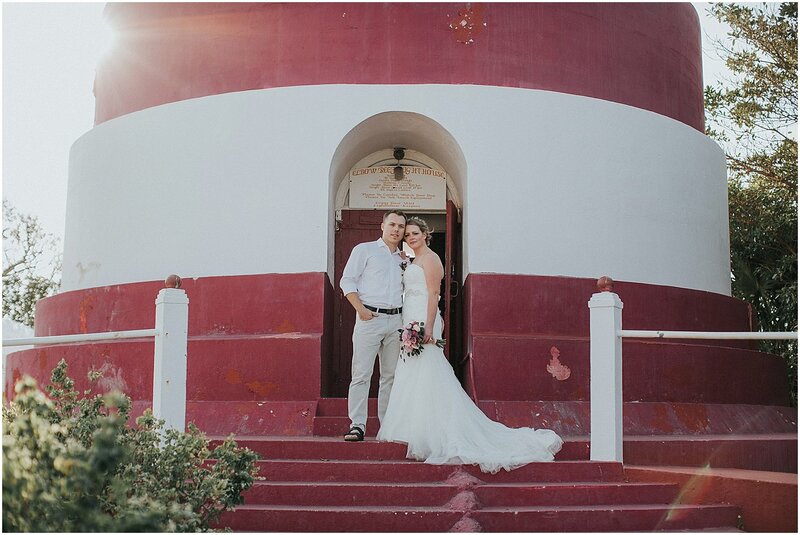 Thank you to Hope Town Lodge for being so accommodating to this sweet couple.